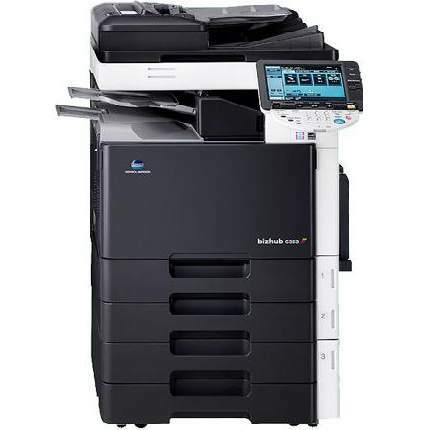 The Konica-Minolta bizhub C353 has a number of built-in features and optional extras that could be beneficial to offices with versatile and growing needs. With the ability to scan, print, and copy, the C353 helps to eliminate clutter, save time, and simplify operations. It has a maximum monthly duty cycle of 100,000 prints, so offices with heavy daily volumes can get a lot of use out of it. This color laser printer offers a maximum print speed of 35 pages per minute, which is decent, but not quite as fast as some other business machines in its class. It could take up to 41 seconds for this unit to completely warm up, and the first page will print out in 6-9 seconds, depending on how many colors of Konica-Minolta C353 toner are being used. The scanner is very fast, processing up to 70 black-and-white originals in a minute, but that speed drops to about 50 pages per minute for color documents. 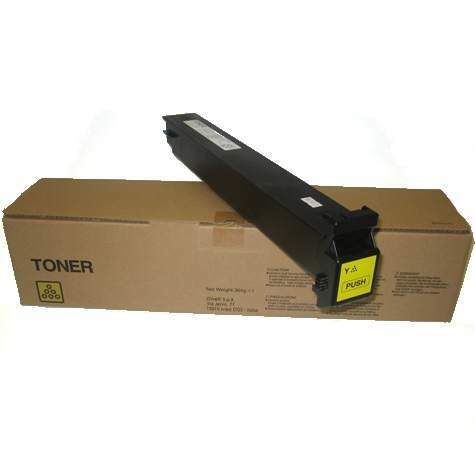 A large color LCD with touchscreen capabilities is used to access the control panel, allowing users to activate top-of-the-line security features, check the progress of tasks, and monitor the level of the bizhub C353 toner cartridges. This is also where users can change the mode from simplex to duplex, meaning that both sides of the page will be printed on as the paper passes through the device. Cyan, yellow, magenta, and black bizhub C353 printer toner is used to create documents with a maximum 1800x600 dpi resolution. 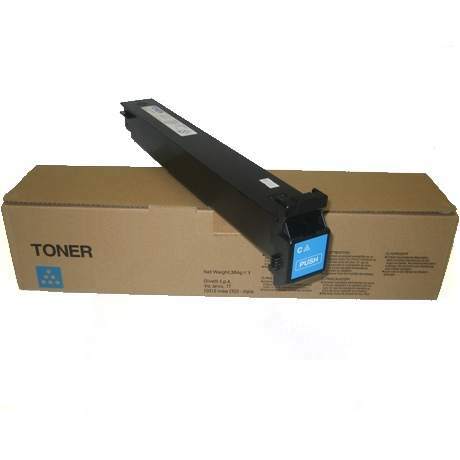 Each Konica-Minolta C353 toner cartridge can yield up to 20,000 pages, so replacements should not be needed too often. 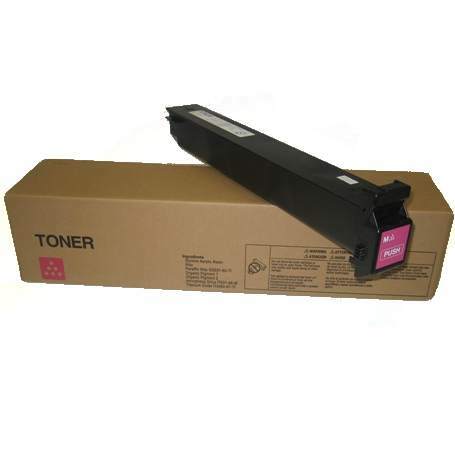 Users can find replacement toners online from the manufacturer or third-party resellers. The unit's built-in features include a 60 GB hard drive, 1024 MB of memory, a 1 GHz processor, and a 500-sheet paper tray. Optional paper trays are also available that can hold another 3,000 sheets, bringing the maximum paper capacity to 3,500 sheets. USB and ethernet ports are standard, but a host USB port can be added to the C353 for thumb drives. A fax module, automatic document feeder, and finishing options can also be added if necessary. 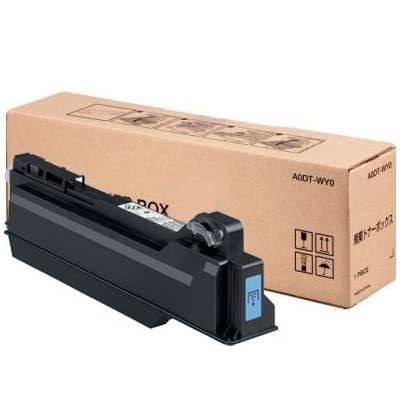 Because each Konica-Minolta C353 toner supply can yield so many pages, the overall cost per page is fairly low, which is important in a work environment. The built-in features should be sufficient for most offices, but the optional features give this laser all-in-one more wide-ranging appeal.